Happy New Year everyone! That is me back to work and back to normal life after a couple of weeks of family, friends and some super indulging. I doubt I am alone when I say that any attempts at healthy eating in December goes right out the window in favour of lindor for breakfast and countless nibbles through the day- I am struggling to adjust to dinner not being at least two full courses! Fun as this always is, it never fails to leave me feeling a total sack of crap come January back to work time so in times like this I turn to my little online recipe wonder that I have realised I have never shared on here before. I know how many readers are big fans of cooking so hopefully this will be as useful for you as it has been for me. I absolutely love scouring the internet for healthy eating ideas and always struggled to keep a track of where I had seen things, working between various computers meant recipes were getting lost on bookmark bars and my iphone was stacked full of photos of recipes that I couldn't keep up with. 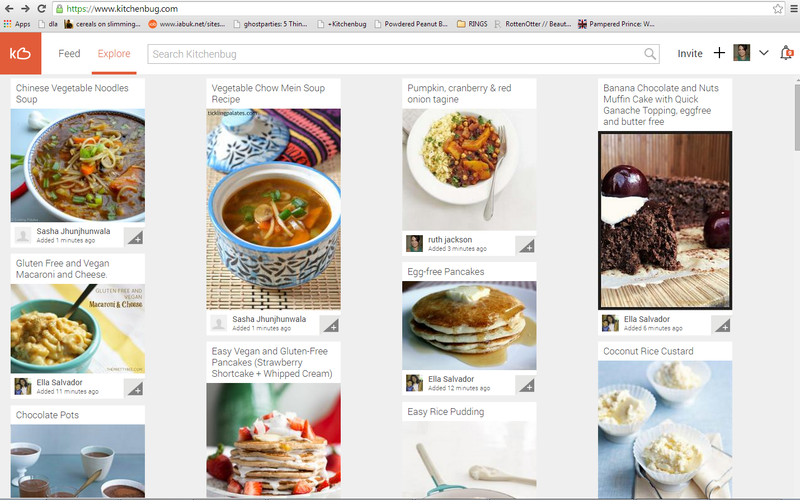 I decided someone out there must have been smart and come up with some kind of online recipe collator to use and lo and behold that is just what I found with Kitchenbug. 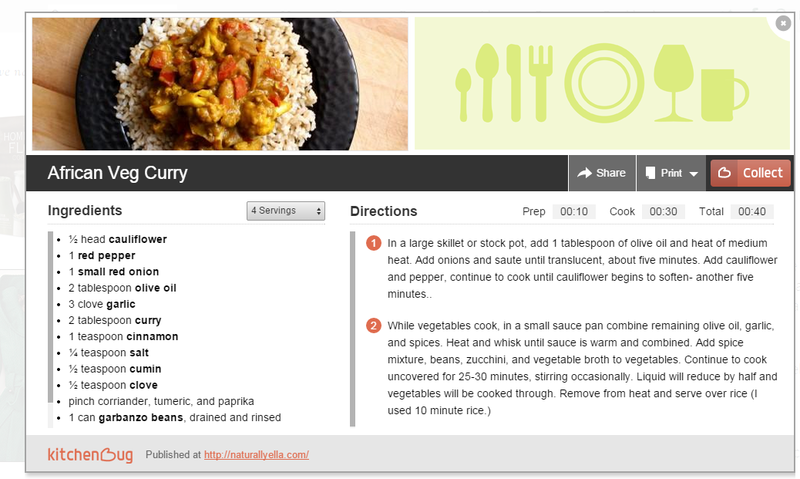 This site has been an absolute godsend for me, you download a little clipper to your tool bar and whenever you com across a recipe you want to keep you just click on it and it takes the link, the ingredients and the directions and compiles them into a stored recipe for you which you can then file into different 'boxes'. You can then browse the site ( which is pinterest esque in layout) which is a compendium of the all the users boxes and find even more ideas there and put them in your personal collection too which is how I have found loads of fab ideas! I love how it even analyses your recipes and gives you a nutritional breakdown for them which is perfect if you are looking to follow a particular regime or want to avoid certain things. It is so easy to use and navigate and now they handily have a free app which is amazing to then using for reading the recipes when I am in the kitchen, or adding to my boxes when something catches my eye. If you made a resolution to eat healthier this year then this is just the thing for you, you can see the recipes that have caught me eye here and if you make a profile let me know so I can follow you too! This is in no way sponsored, I just realised this is an amazing resource that I have been keeping to myself!